8 catchy titles with playalongs to play along with! 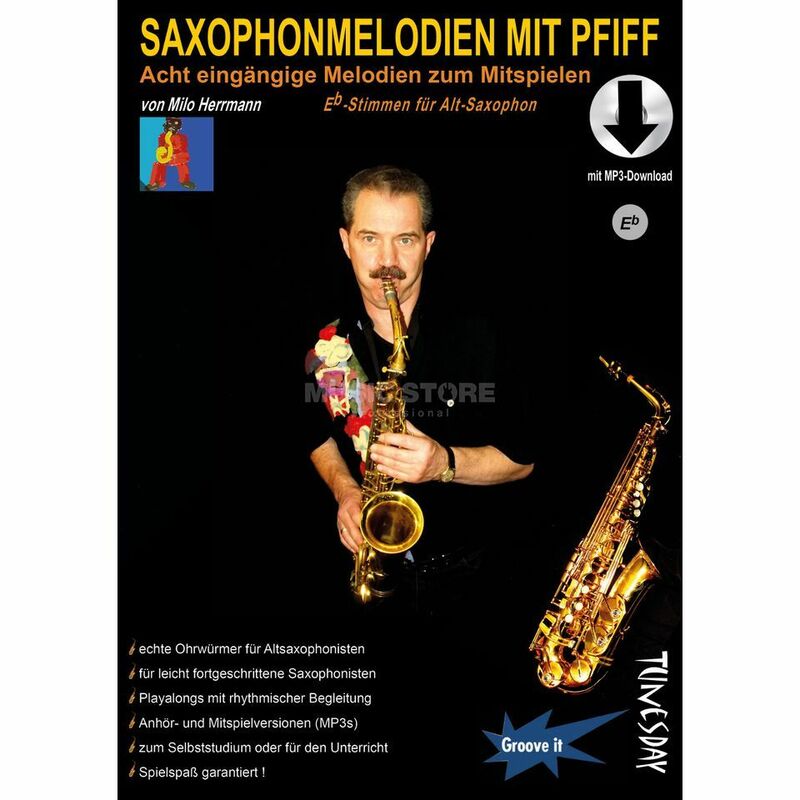 Saxophone melodies with a whistle form an optimal musical basis for the perfect playing fun for saxophonists with approx. 2 years of playing experience. The catchy melodies are perfect for varied lessons, but can also be used for self-study. Performances within the framework of music school events are offered, because accompanying voices for piano and bass are also notated. Alternatively (instead of piano & bass) you can also be accompanied by the "band" via MP3 (download!). The titles of this music booklet are therefore a good preparation for playing in a band.